I Spray Painted my Keyboard! I saw an amazing transformation of a keyboard by another blogger who hand painted each key and did an amazing job! I didn't have the patience for hand painting, however I do like to indulge in spray painting! So I used a can of Gold coloured spray paint that I already had in the house from other projects and got to work. Take a photograph of the keyboard so that you know what each key is. Unscrew the top of the keyboard off carefully and place onto newspaper. Give one coat of paint and allow to dry. Do another coat if needed. Once dry using a permanent marker by hand write down on the keys the correct markings using the photograph. Then screw the top back to the bottom of the keyboard case. You now have a unique keyboard! Notes: Not sure if all keyboards can be took apart as easily - you need to make sure you know how to put it back together. I managed by myself but if I had struggled I would have asked my husband to help as he is a Computer Technician and taking them apart is his speciality! My daughters would love pink too! 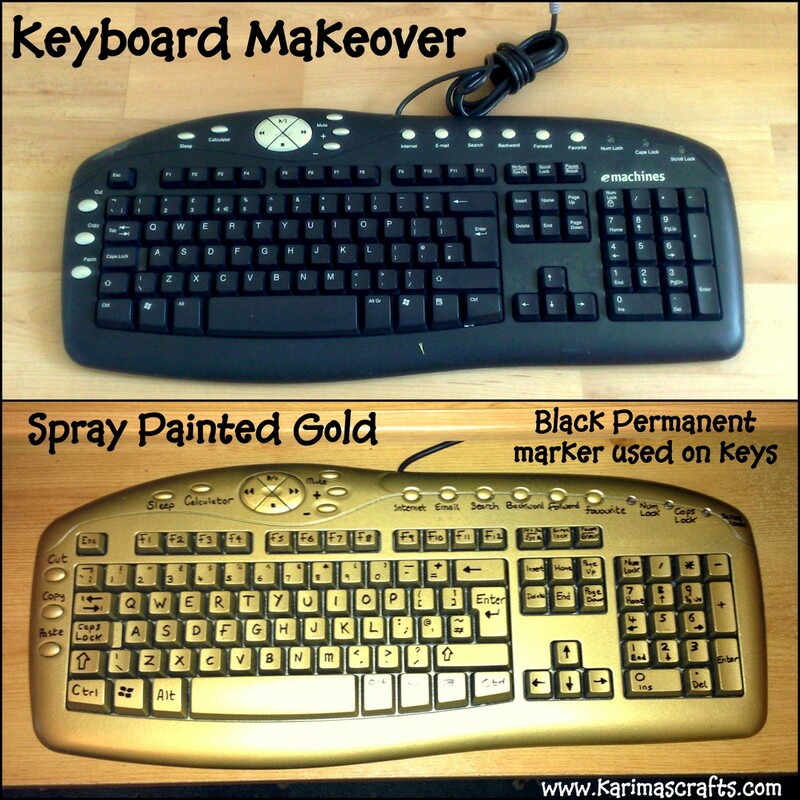 Thanks for sharing some awesome spray painted Keyboard Tutorial Karima. Really, great ideas! 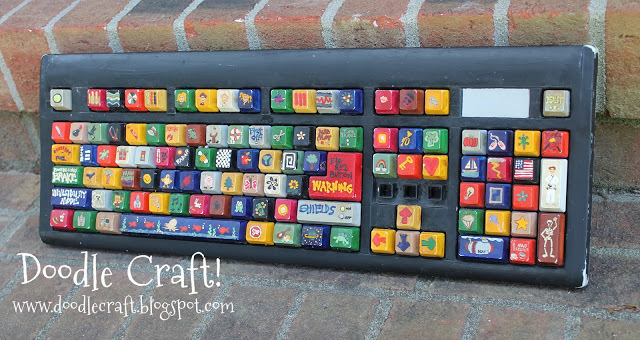 Love the way you painted your keyboard. Pure Gold!!! Congratulations! You did a really good job. Your keyboard look so cute. I'm doing some research on painting, too. I have an old coffee table and I want to paint it. But I have no idea. great job , this is the most beautiful keyboard that i have ever seen.. Thank you for share awesome tip for Keyboard. I love the pink keyboard - so girly! Although I think I'd be too scared to try it for myself.